By now you must be aware that you can travel to Spiti Valley via Manali or you can take the route to Spiti from Kinnaur Valley. In the last article of the series “Comprehensive Travel Guide to Spiti Valley”, we talked about how to plan a journey on road to Spiti Valley via Kinnaur Valley OR Hindustan – Tibet Highway. In this article, I will talk in detail about the other road to Spiti Valley which goes via Manali. Traveling to Spiti from Manali to Kaza route is one of a kind of an adventure. And for many people, it can easily become trip of a lifetime. The nasty water crossings and road conditions from Gramphu to Kunzum Pass route make your heart pound like nothing else. Hence, it becomes important that you understand what to expect on this adventurous route to Spiti. 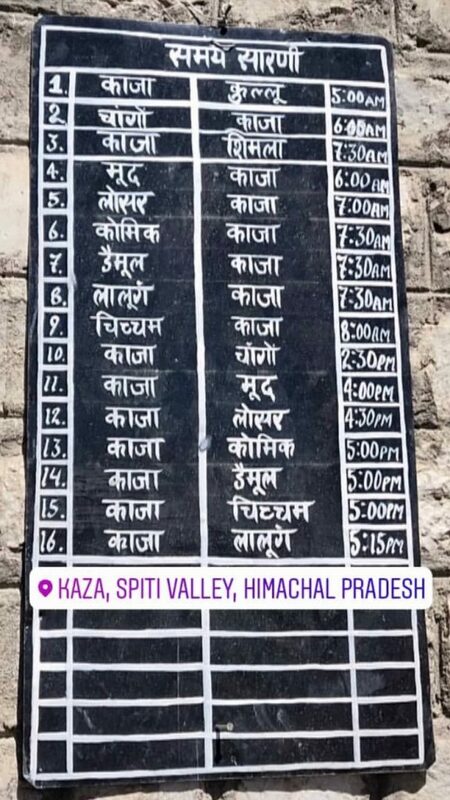 How many days does it take to reach Spiti Valley from Manali side? Is there any problem if I travel to Spiti from longer route of Kinnaur? How to reach Spiti from Manali side? Unlike the long, treacherous, Hindustan – Tibet Highway, the major part of the journey to Spiti Valley via Manali is covered without any trouble up to Manali which is about 570 odd KMs from Delhi. Still, you can check, how to plan a trip to Manali travel guide article for further details. On the other hand, the road to Spiti Valley via Kinnaur, commonly known as Hindustan Tibet Highway, is a destination in itself. The arduous that runs to Spiti Valley via Kinnaur – Shimla is also termed as one of the treacherous or deadliest roads of the world. While the road from Manali to Kaza is no less than an extreme adventure. Now, that you know how to travel to Manali from Delhi, let’s cover in detail in this article about planning the rest of 200 odd km road trip to Spiti Valley from Manali to Kaza. When traveling to Spiti via Manali, you need at least two days to reach Kaza from Delhi via Manali. 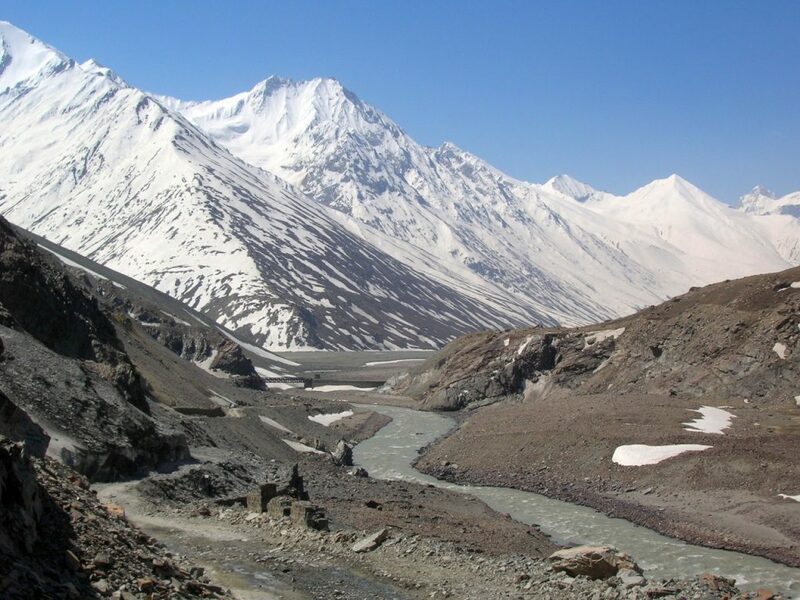 On Day 1, you can reach Manali and the next day you can reach Kaza from Manali. However, if you plan to travel from Delhi over Hindustan Tibet Road to Spiti Valley, then it takes three days to reach Tabo with night stops at Narkanda and Kalpa. Hence, traveling via Manali to Spiti will take fewer days when compared to Shimla – Kalpa – Kaza route. Generally, most first time travellers plan a road trip to Spiti Valley as a full circuit. That is, they will enter from one side (mostly Kinnaur) and exit via the other side (mostly Manali). After making the first trip, you can always plan more trips to Spiti from either of the route to focus on remote places in Spiti Valley. The problems of traveling to Spiti via Kinnaur are far less than the benefits it offers. When you travel to Spiti Valley from Shimla side, the altitude is increased gradually as compared to traveling to Spiti from Manali to Kaza side. This helps a lot in acclimatization and reducing the chances of getting hit with AMS. It is the prime reason I do not recommend traveling to Spiti via Manali whenever it is possible. Having said that, do not forget that the route from Kinnaur Valley to Spiti has its own demerits too like long distance and arduous journey over NH05. When you make a trip to Spiti via Manali, then you should surely know about its terrain, the route from Manali to Kaza, the places that come on this route, the accommodation, modes of travel, basic amenities on the route, time or season to visit, etc. This will ensure that you have an unforgettable memory of the trip to Spiti Valley. The journey on road to Spiti Valley via Manali can easily turn into a nightmare if planned incorrectly and can get you in trouble, stranded in the middle of nowhere. In this article of the series, “Comprehensive Travel Guide to Spiti Valley”, I will try to put down all my knowledge for traveling to this road to Spiti Valley from Manali side. Do not forget to check the five reasons to travel to Spiti Valley from Manali side. 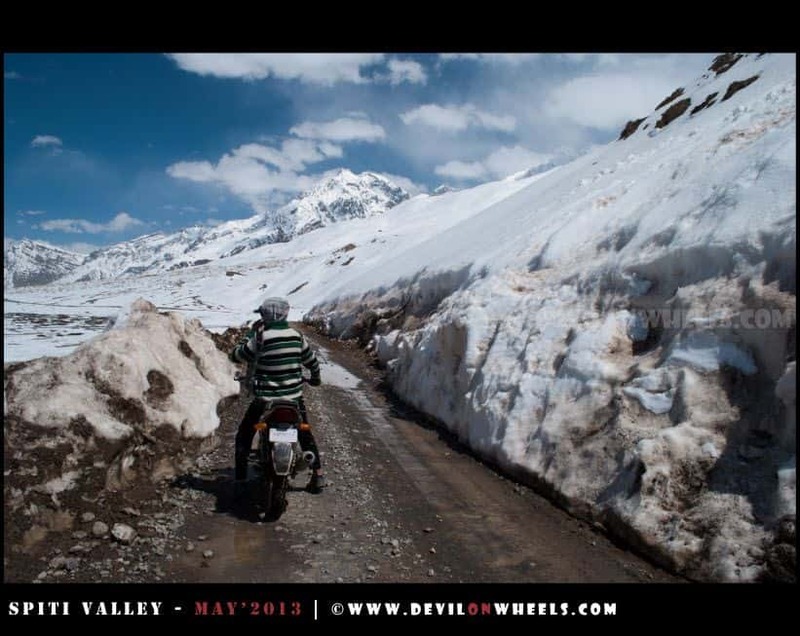 The only time to travel from Manali to Kaza is June to October month period. It is this time period when the snow is cleared on Gramphu to Batal route and both Rohtang Pass and Kunzum Pass are open. So, the best time to plan a full circuit of Spiti Valley trip (Delhi – Kinnaur – Spiti – Manali – Delhi) is from June to September – October period only. The road from Shimla to Kaza via Kinnaur remains open all around the year barring days of heavy snowfall. Hence, you can always plan a trip to Spiti from Kinnaur side in any month of the year. The month of September is one of the best time to visit Spiti Valley from Manali or Shimla side. In September, the monsoon is gone from Northern India including the parts of the Himachal Pradesh like Kinnaur Valley and Manali to Kaza route. The roads get dry, free from slush and water crossings are less ferocious too. The snowfall starts in the month of late September or October on high mountain passes like Rohtang Pass and Kunzum Pass that comes on the route to Spiti Valley via Manali side. Hence, traveling on this route starts to become risky as winter starts to arrive. Late October and November is when the Manali to Kaza route seriously goes into hibernation for next six months, only to open in May end or June. So, in the winter months from November to May the road to Spiti Valley from Manali side remains closed. You can check my article for the details about month by month season guide for making a road trip to Spiti Valley and understanding when is the best time to visit Spiti via Manali. 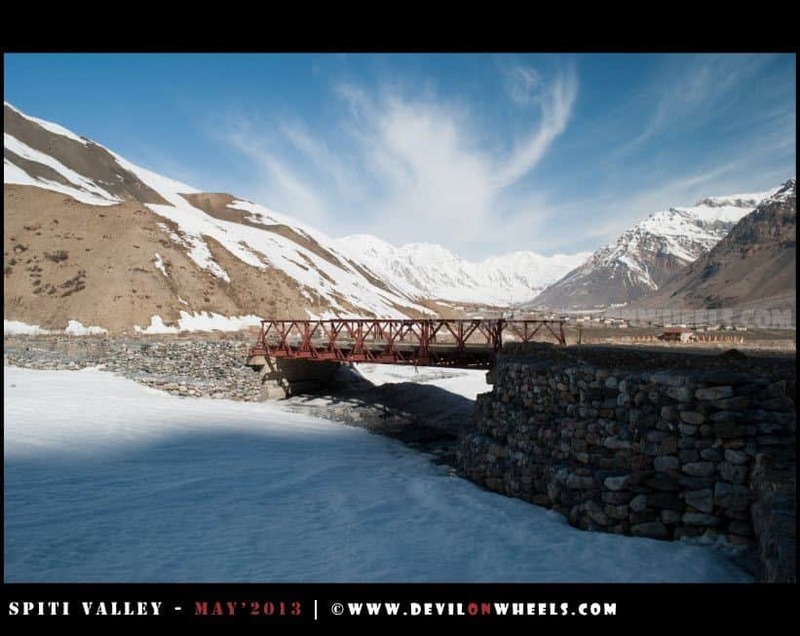 You will have plenty of options to plan a road trip to Spiti Valley. The options start from planning the Spiti trip by public transport to renting a private taxi from Manali and covering the entire Spiti Valley. You can always plan to rent a self-drive car from Delhi to Chandigarh and make a trip to Spiti Valley. Similarly, if you are interested in making a bike trip to Spiti Valley, you do not have any restrictions. But in the end, you should no what is the best mode of travel to make a road trip to Spiti from Manali. In this section, let us look at our options one by one in detail. Self-drive by car or self-ride by bike are one of the most preferred options to travel to Spiti Valley. A drive or bike ride to Spiti, especially from Manali to Kaza, is an extreme adventure in itself. Making such an adventure road trip is an idea to experience the nature challenges in its raw form in the Himalayas. Can I take a rented or my bike or car to Spiti Valley road trip? Yes, you can take your own or rented, car or bike to Spiti Valley from Manali side. 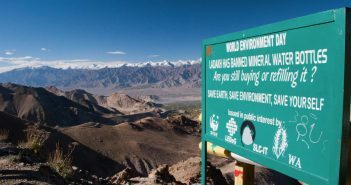 Unlike Leh Ladakh, where outside Ladakh vehicles are banned for sightseeing in Ladakh, there is no such rule to ban outside Himachal vehicles in Spiti Valley. Having said that, it is definitely difficult to drive or ride from Manali to Kaza road especially when you are a first-timer. You should be cautious and careful when driving or riding through the slushy roads, snow and water crossing or nallas especially between Gramphu to Kunzum Pass and almost up to Losar village. Also, it is always handy to learn little maintenance tasks of your vehicle prior to the start of this arduous journey to Spiti Valley from Manali. Knowing how to repair a puncture and other basic stuff to fix your car or bike will help you a lot in case of an unforeseen situation. What is the best car for Spiti Valley road trip? Well, there is nothing as such the best car for Spiti Valley road trip. It all depends upon the time you are traveling and your driving skills to travel on such rough roads in the Himalayas. Still, it is always better to have a higher ground clearance vehicle especially from Kaza to Manali road and a 4×4 will especially help you in the water crossings. However, I have seen hatchbacks (including Altos and Nano) and sedans traveling to Spiti Valley from Manali side as well. I have myself taken my sedan on these routes and with some underbelly scratches, I was able to successfully complete the road trip to Spiti via Manali. Given below are some of the important tips for a road trip to Spiti Valley via Manali – Lahaul route. Whenever you are in doubt, always step out of your car, walk down the path, inspect with your foot and plan the path of exit before crossing a dangerous landslide or water crossing on your vehicle. You can also park aside and see how others are crossing the risky section to plan your route of escape. In deep water, crossings try to maintain the momentum without any half clutch measures and complete the entire stretch in one go only. Similarly, in slush stretches do not force the issue rather keep the smooth momentum with required speed to pass you through, without half clutch measures. Do keep an eye on the direction of the vehicle too. If you get stuck in slush then try to back and forth your vehicles to get out of the stuck position and use a wooden plank to get out of it. It is always handy to ask your fellow co-travellers to get out of the car and push the vehicle from behind, in case, the car is struggling to pass through the slush or water crossing stretch. DO NOT forget to help other fellow travellers in need on the route. Basic toolkit, screwdriver set, small hammer, puncture repair kit, iron rod, two or three “2 ltr” empty bottles of Pepsi / Coke / Limca etc to carry extra petrol or diesel (jerry cans will leak, cold drink bottles do not leak), funnel, towing rope, spare tube (must for bikes), Elfy or Fevi quick (2-3 sachets), jump start cables/wires, car inverter, M-seal to prevent leakage etc. were among the few things which I carry along on my trip to Ladakh or Spiti Valley. Also, do not forget to get your vehicle (car/bike) serviced about 2-3 weeks before the start of the trans-Himalayan journey. This will ensure that you have proper time in advance to test your serviced vehicle and get fixed any hitches that may have been introduced in that service. Do not forget to check a 40 MUST-HAVE list of things to pack for a self-drive trip to Spiti Valley. You can also hire a taxi from Manali or Delhi to travel on the road to Spiti Valley via Manali. It is always better to hire Xylo or Scorpio and mostly the charges ranges from 3200 to 3500 per day from Manali depending upon the season of travel, number of days of the trip and your bargaining skills. It is always best to confirm from the driver if he has done the route from Manali to Kaza and when was the last time he did go on that route. Many times, drivers from Manali are good but sometimes they are majorly bogged onto local routes in Himachal Pradesh which are in no comparison to the roads of Trans-Himalayas. So, confirm twice before fixing a deal. Hence, it is best to travel to Manali and rent a taxi from a known driver who has been to Spiti Valley routes. You can always get connected with local taxi drivers in this list of taxi drivers plying on Manali to Spiti Valley. Further, self-drive cars available in Delhi and Chandigarh are also a great way to travel to Spiti Valley via Manali from Delhi. These self-drive cars can easily be booked from your starting location point and sometimes proves less expensive than hiring the taxis. You can take the overnight Volvo buses to Manali from Delhi which are run by HRTC or HPTDC. Then daily morning HRTC buses ply buses on Kullu – Manali – Rohtang Pass – Kunzum Pass – Kaza route. There are two HRTC buses which run between Manali and Kaza every morning. These buses start from Manali to Kaza as soon as the road to Spiti Valley via Manali get open in the season, mostly in mid-June. These buses run from Kullu to Kaza via Manali and it reaches Manali around 4.45 AM and leaves at 5.00 AM. Ticket to Kaza will cost you only about INR 250 approximately per person. So, you can easily make a budget trip to Spiti by public transport using these HRTC buses. In between, you can also buy yourself a seat in a shared taxi which runs between various places within Spiti Valley. Example, you can cover Dhangkar Monastery, Pin Valley, Kibber/Ki, Hikkim/Komik etc. all in shared taxis available from Tabo OR Kaza. Even shared taxis run between Losar and Kaza too. If you are really tight on budget, then to get some tips on how to save more, please refer my article on Planning a low budget trip to Chandratal Lake. The article will give you many ideas to save cost next time you travel from Manali to Kaza. Sometimes it is better to traverse the road to Spiti Valley over Manali – Rohtang Pass route in three days. This may help your body gets a bit more acclimatized to the high altitude of Spiti Valley within these three days. Though unlike traveling on Hindustan Tibet highway which provides a gradual ascend still breaking the journey at Khoksar in Lahaul or if you have more days then maybe for a couple of days in Keylong after Manali will be a great option to undertake on your Spiti road trip. This way spending a night at Khoksar will help you a lot in terms of acclimatization. If you have a couple of days then go ahead and stay at Jispa for these extra days and explore around Lahaul Valley. Finally, on Day 4 make a dash to Spiti Valley over Kunzum Pass from Jispa itself or maybe end that day sleeping overnight at Chandratal instead of Kaza. In this case, I generally suggest that you start very early in the morning and try to reach Tabo instead of Kaza on Day 2 from Manali. Though going all the way to Tabo will mean 2 hrs more journey as compared to Kaza, being 45 odd KMs ahead. However, it will help you acclimatize better and combat AMS as it is 600 odd Mtrs lower than Kaza. Having said all that, if you take necessary precautions, Kaza is generally OK for majority of people too. In the above section, you learned about how to reach Spiti from Manali side. However, it does not talk about a detailed day by day plan to plan such a road trip over Manali to Kaza road. I will recommend that if you are not making a circuit trip, then you can follow my itinerary of a trip to Spiti over Kaza – Manali road only. Manali, Solang Valley (a bit off track, 16 KMs), Rohtang Pass (though I never liked it personally) and then Chandratal (a bit off track just ahead of Batal and it shall always be done while coming back from Spiti Valley). The whole route from Gramphu to Kunzum Pass to Losar to Kaza is sightseeing in itself, believe me. The treacherous it is, the more beautiful it becomes. You will urge to get down every other turn and click pictures on this route. 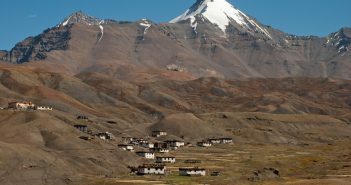 Unlike Hindustan – Tibet Highway, there isn’t much to think about accommodation when traveling to Spiti Valley via Manali. 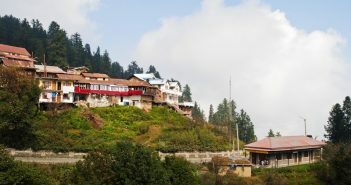 The first day you end up at Manali or Solang Valley which has a wide range of hotels and accommodation options. The next day you can either stay at Khoksar PWD Rest House or reach directly to Kaza from Manali or Tabo from Manali which again has many accommodation options available to suit most budget needs. In between, there is a PWD Rest house at Chota Dhara and a PWD rest house at Batal which started in July 2013 before you enter Spiti beyond Kunzum Pass. At Batal, you can also sleep at Chandra dhabha if you are on a budget road trip to Spiti Valley. Like Manali – Leh Highway, the journey on road to Spiti Valley over Rohtang Pass and Kunzum Pass is quite challenging especially beyond Rohtang Pass from Gramphu to Losar. That is why going through Hindustan – Tibet Highway is always preferred for a road trip to Spiti Valley as compared to than going via Manali – Kunzum Pass – Kaza route. While traveling to Spiti Valley from the route through Kinnaur Valley, you gives yourself a chance to properly acclimatize to the high altitudes there by decreasing the chances of being hit by AMS. In the return leg, you can come back to Delhi via Kaza – Kunzum Pass – Manali route to complete the entire circuit. This helps you enjoy the whole or high altitude places of Spiti Valley including Chandratal Lake in a much better way as well. Try to sleep at Solang Valley, not Manali because Solang Valley does help in acclimatization while Manali does not do so. Avoid sleeping at high altitudes earlier in the trip. Avoid tobacco and smoking and alcohol and other depressant drugs. Keep your body warm and eat lots of carbohydrates. Avoid sleep during the day. Sleep in upright position, if possible. Carry preventive medicines for AMS. Immediately descend towards Tabo, if symptoms increase. You will be able to find fuel pumps only at Manali and Kaza. It is very important not to miss to refuel at Kaza petrol pump. In case you are making a Spiti trip along with Lahaul Valley, you can also fill up petrol at Tandi petrol pump which falls on Manali Leh Highway just before Keylong. As per my knowledge, there are ATMs available at Manali and Kaza. Although there is an ATM at Kaza as well now, it’s working condition may be a question at times. Hence, it is advised that you carry cash from Manali. I guess you should carry enough cash with you on trans-Himalayan trip because ATMs at these limited places can run out of money or become un-operational at any day or time. The places that falls on this route along with approximate distances between them goes like Manali – Marhi – Rohtang Pass – Gramphu – Chattru – Chota Dhara – Batal – Kunzum Pass – Losar – Kaza. The approximate distances along with altitude of these places is shown in the chart below. This will help you judge over acclimatization schedule too. Since 2010, all vehicles going to Rohtang Pass from Manali side needs permits which can be obtained free of cost by showing vehicle’s RC and DL copy. You can use the Kullu Administration official website or you can also use the recently launched mobile app for Rohtang Pass permit in 2018. You can check the entire process on how to get Rohtang Pass permit online or using a mobile app. Please note that all bikes, as well as cars, need to get this Rohtang Pass permit if you travel from Manali to Kaza route. However, if you are traveling from Kaza to Manali or Keylong to Manali direction, these permits are not required. Hence, another reason to start your Spiti road trip from Shimla side and end the trip at Manali. If you are coming from Keylong side or Kaza side, then you do not need any permit to ply on Manali – Rohtang Pass road even if you have a non-HP registered vehicle. Rohtang Pass Permit is required only if you are going from Manali side towards Rohtang Pass. Have you ever been to Spiti Valley through Shimla – Kinnaur or via Manali? 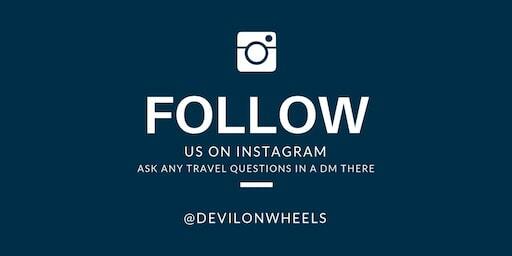 If yes, please share your viewpoints, suggestions or inputs as comments below and help other fellow travelers to plan their own journey on one of the most challenging roads in India or perhaps the world. Calling this road built on top of river bed like conditions, it is nothing but quite an adventure especially when you are not used to such road conditions. 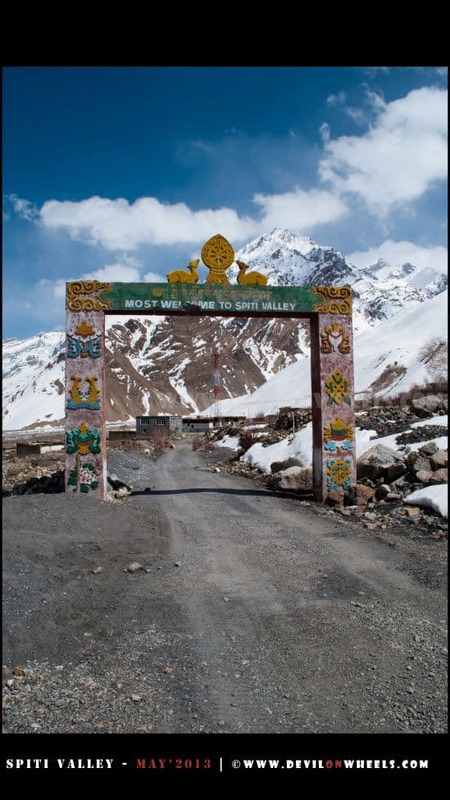 Are you planning to go to Spiti Valley via Kaza – Manali or Kinnaur Valley? If yes, please feel free to ask any questions or doubts you have regarding your plan either in comments section OR my Instagram account. I will be happy to reply and discuss them with you. If you know your friends or family are planning a trip to Spiti Valley via Manali, do share this article with them to help them make a memorable trip. I checked on the link. But it seems to be 6 days. Is it possible to constrain that in 3 days and that Itinerary starts from Shimla. Can you help me to decide from Manali? Hey i am planning for spiti valley in end of June or in the first week of July for 10-15 days solo trip. can you please help me the best places and the unexplored one and how to reach from Delhi . — For stay check Sakya Abode or snow lion are two good options at Kaza apart from PWD Guest houses. Get in toufh with Tsering, the guy who runs it. He is a very good friend of mine. We are six friends traveling to coming to delhi on may 29th , from there we are going to stay kasol for 2 days. After that we planning to spiti for 5-6 days. Our flight back to Mumbai is on 8th June . Can you please suggest an itenary for spitty and how to travel from and to kasol for spiti. Ronish, well the general rates are about Rs 3200-3500 per day including all Himachal permits. There is only one permit for Rohtang Pass and has to be included. Rest there isn’t any. You can get connected directly to some drivers in Himachal or Spiti Valley or Kinnaur Valley at the link: List of Taxi Drivers for Spiti Valley & Kinnaur Valley. These drivers can come and pick you up from Manali / Shimla / Delhi / Chandigarh too, of course with a price of the pickup as well. Regarding trip to Spiti Valley from Kasol, well, most likely the road from Manali will open by end of May this year and I will recommend that you stay the night before at Manali and start the trip from there. Day 6 : Tabo – Pin Valley – Kaza. Do Ki, Kibber in the evening. 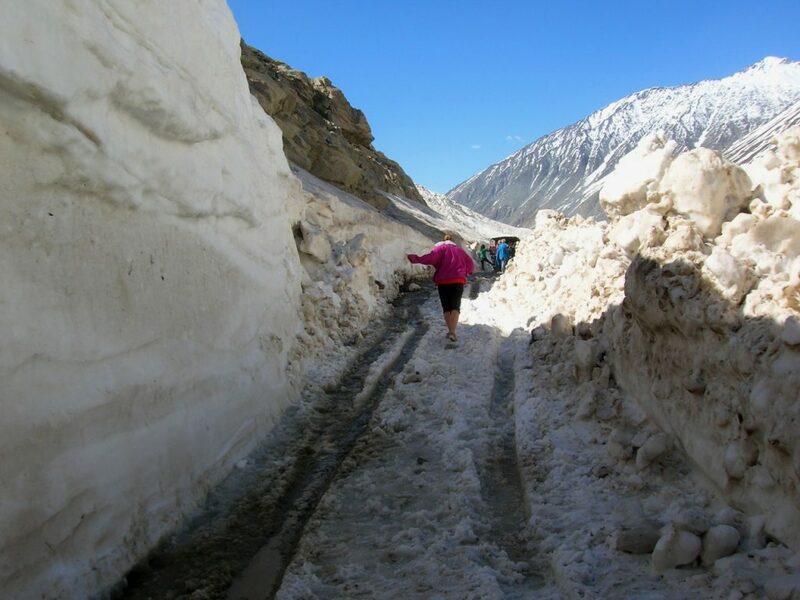 Ronish, most likely the road from Manali to Kaza will open by end of May as there is very less snow this year. Also Rohtang Pass is already open now. Attractions: Komik Village at an altitude of 4513m. Isolated place. Komik-ki Monastery located at hill top at a height of 13,668 ft.
3rd june : Kaza-Pin Valley-Kungri-Mudh-Kaza(49kms) [Overnight in Kaza Hotel]. Attractions : Dhankar Lake at hill top. Offers amazing view and surrounded by snow laded mountains. Attractions: Chandratal Lake at a height of 14,100 ft. Camping site under the gaze of a million stars. Is this itenary proper ? Best will be to stay at Solang or Manali on Day 1 instead of doing Kasol to Kaza as it saves about couple of hrs. Next, do not come back from Pin Valley to Kaza, go towards Tabo and stay over night. Next day do Tabo – Dhangkar – Lhalung. Confirm first if Chandratal is open or not and then make that plan else spend time in Kaza. A friend and I are taking our car from delhi to spiti on May 26. We have space for three. Let us know if you wish to join. I have plan for 6 days, where I want to cover Manali, Spiti valley, Keylong and Kasol. Thanks for the advice. I am going to discard keylong from my plan. I am ready to add one extra day for Kasol. If I go with this plan, will it be ok? Are you suggesting to do adventure sports in day time at Solang Valley on Day 2? On Day 4, you can travel to Chandratal by evening after covering the above places, if you do not feel to do so then otherwise the above plan is OK. Just that Kaza – Chandratal – Kasol will be long day but doable. 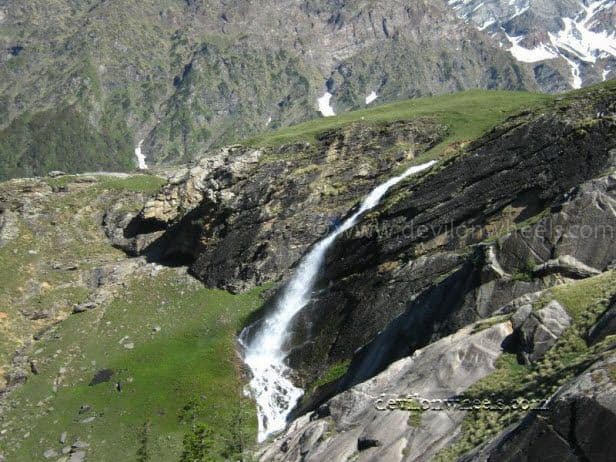 Is it possible to do adventure sports in day time at Solang Valley on Day 2? Hey , is it possible to reach Kaza during the first week of December with own SUV vehicle ?? Given the days at hand, it seems fine. Manali – Kaza is around 9-12 Hrs depending upon breaks and roadblocks.